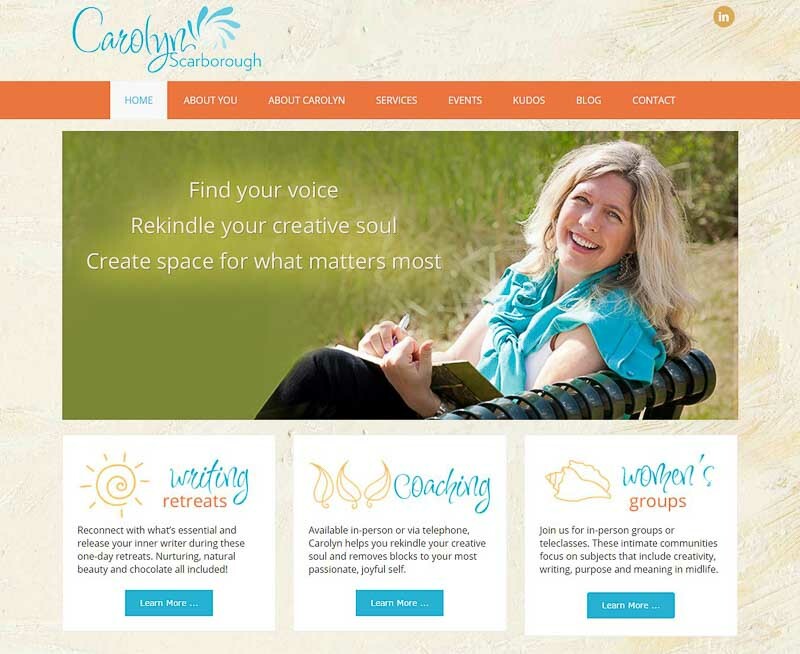 Carolyn was ready to re-brand her business and a key part of that was re-branding her website. A custom logo and site design was created by High Wire Creative. Web Medicine Woman worked with Carolyn to build the site. The original design was modified to include custom optin areas and customized display of kudos from happy clients. We brainstormed on content to include poetry, quotes, and imagery to align with Carolyn’s style of relating to her clients. We transferred client mailing list from 1ShoppingCart to MailChimp, making it easier for Carolyn to create her own campaigns and edit custom lists for her live and online courses. A custom campaign was created in order to deliver blog posts via RSS feed via Mailchimp to her list, reducing the need to expend effort twice. Custom launch and payment pages were created for her Winter Spark online course and the Women’s Circle programs. Carolyn has contracted with Web Medicine Woman for ongoing site maintenance, including security monitoring and offsite backups. Liz has that rare combination of a creative, artistic spirit mixed with technical know-how and an eye for detail. What that meant was that I could trust her with the look of my website, and at the same time if I forgot something or even sent copy that wasn’t formatted correctly, she would catch and fix it. That gave me peace of mind knowing that what if I missed something, she would not. In addition, she is always up leveling the quality of what I put out. She suggests better design ideas, marketing ideas, widget ideas – all culled from her years of experience in all aspects of an entrepreneurial business. So it’s like getting a design person, a technical person and a business person all in one! Finally, she never assumes you know how to do something. So even though I’m pretty low-tech, she very patiently explained what she was doing and how to do my end of things. It was a joy to work with her.